A personal journey of surviving and thriving. There are many ways to practice neurology. Over 20 years ago, I chose mine, and loved it, right up until I absolutely hated it. The following is a personal account of success followed by disillusionment, burnout, and, ultimately, redemption and the rediscovery of what it meant for me to be a neurologist. The path I chose—forgoing the traditional insurance model—has made me remember all that I love about the practice of neurology. This new way of practice is not for everyone, but for those who are dissatisfied with the current state of medicine, read on. 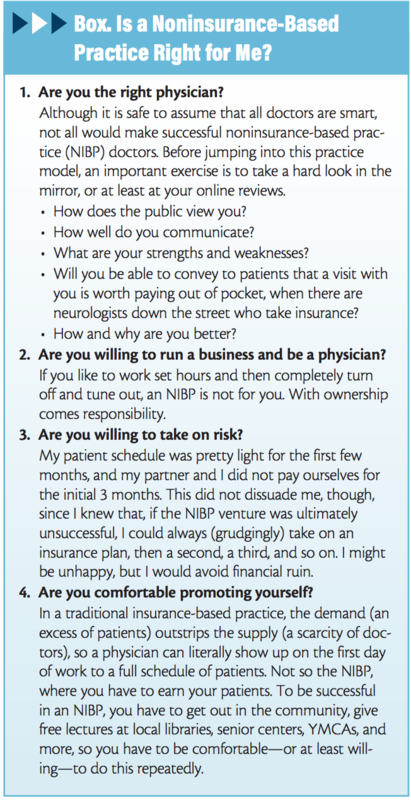 I explain why I walked away from insurance and offer tips and insights about how you could set up your own noninsurance-based practice (NIBP). After completing fellowship training in 1996, I joined a well-established 3-physician single-specialty private practice neurology team. Back then, independent practices such as this were commonplace, and if I had to guess, I would say about two-thirds of my residency class transitioned to private groups, while the remainder stayed on in academics. Although I did not realize it at the time, I realize now that I began my career during a transformative time in American medicine, with the dawn of increased insurance regulation and the initiation of evaluation & management (E&M) coding. These regulatory changes weaponized my patient note—formerly just a useful description of what had transpired during a particular office visit and what the plan of care was—into a billing tool. Consult and follow-up notes were no longer between my patient and me. Now, a third party could cull through my notes, assigning payment—based on some less-than-transparent formula that I was not privy to. E&M coding continues today and remains fraught with troubles. ProPublica analyzed Centers for Medicare and Medicaid Services (CMS) data between 2012 and 2015 and found that many providers billed either 90% or 100% of their office encounters using the 99215 code, which should only be used in the most complex, time-consuming cases.1 This has only worsened as reimbursements have declined. Upcoding and overbilling are alive and well; I wanted no part of it. Despite these billing and coding irritations, things were overall good in our practice through the late 1990s and into the new millennium. We hired more neurologists, neuropsychologists, physician assistants, and ancillary staff. Although we had to hire what seemed like an ever-increasing number of billing and coding specialists, we could, at that time, afford it. We ran a high overhead but had high reimbursement across multiple service lines including patient care, neurophysiology (including intraoperative monitoring), and a burgeoning clinical research program. By 2009, I was seeing 25 to 30 patients a day and booking out many months. Then came electronic medical records (EMRs). Like most physicians, my practice mates and I were initially excited about all the touted advantages of virtual recordkeeping. We could not have been more wrong. In 2005, the Rand Corporation released a seminal report on EMRs, stating that universal adoption would save the American health care system $81 billion annually.2 Of course, nothing remotely close to this has come to pass. EMRs are disparate and unwieldly and take up too much physician time. I have yet to hear a single doctor rave over his or her EMR; rather, I hear a lot of “horrible,” “mediocre at best,” or “well, not too bad.” No one loves their EMR like they love their smartphone, tablet, or smartwatch. Not only are current EMRs not interconnected, they are devoid of consumer-driven innovation. EMR companies had no incentive to innovate from the beginning, because they had a captive audience of clinicians who were told they had no choice but to adopt EMR or face penalties. There was never any reason to strive to make EMRs great, the way Apple or Microsoft have to constantly innovate to keep customers buying their products. This lack of innovation (clunky systems that do not talk to one another) has had no effect on EMR companies’ bottom line. In fact, it appears they have done quite well. Epic Systems Corporation, for example, which holds medical records of a staggering 54% of all patients in the United States, had an annual revenue in 2016 of $2.6 billion.3 Allscripts topped the list with a hefty $41.8 billion in 2017 (Table). On top of all this, there is little compelling data to suggest that the health care consumer is any better off for us putting up with an EMR that requires on average 2 hours of computer time for every 1 hour of patient contact.4 I do not consider myself a modern-day Luddite; it is simply that I do not like bad technology. The combination of poorly designed electronic health record software, coupled with an ever-increasing number of insurance-mandated useless boxes to click while trying to also be a caring, compassionate clinician, would wind up driving me to the edge. In 2009, our practice adopted an EMR program. It was bulky, cumbersome, and click-laden. Around this the same time, our formerly successful practice was staring down ever-declining insurance and Medicare reimbursements, and seemingly our only option was to see more patients and code as high as possible. I soon found that, while I considered myself both a decent doctor and a respectable documenter, I could not excel at both simultaneously. I frequently found myself completing electronic charts at home, late at night, and on weekends. Family and social life suffered, and I only half-jokingly stated that I began to not recognize my children. I felt much like physician-blogger Jordan Grummet, MD, who penned an essay titled I Have to Admit: I Don’t Love Being a Doctor Anymore. I felt Jordan was speaking for me when he wrote “I suppose the change happened sometime after we started using electronic medical records. It happened with meaningful use. And MACRA. And Medicare audits. And ICD-10. And face-to-face encounters. And attestations. And PQRS. And QAPI. And the ACA. And MOC. And on and on.”5 Yes, that was me. I was burning out. Something had to give. In January 2017, the American Academy of Neurology published the results of a landmark survey of 1,671 neurologists across the United States.6 In it, they noted that 60% of those surveyed reported burnout, and the top reasons were lack of autonomy and ever-increasing clerical (read EMR) work that was of no value for them or their patients. One year later, Medscape released its National Physician Burnout and Depression Report 2018.7 Among 15,543 physicians across 29 specialties, 42% were burned out, and 15% reported symptoms of depression or were clinically diagnosed as depressed (compare this to a background of 6.7% of US adults reporting depression in the last year, according to the National Institute of Mental Health). Neurology, at 48%, tied critical care medicine for the dubious distinction of most burned-out physicians and was the fourth most likely specialty to be both burned-out and depressed. Importantly, physicians mostly agreed that burnout and/or depression adversely affected patient care. By far the most common reason cited for burnout (at 56%) was too many bureaucratic (again, read EMR) tasks. As I struggled with what to do, being unhappy and burned out in a large practice with decreasing revenue, a huge patient volume, increased regulation, and an infinite number of boxes to tick on my EMR that had nothing whatsoever to do with patient care, I felt I had 3 options. The first was to give up the ghost and join a large multispecialty group or hospital practice as an employee, but the idea of surrendering autonomy for some salary guarantees and an illusion of safety held no appeal for me, and I just could not see myself as a cog in someone else’s machine. Besides, I would still be ticking boxes. My second thought was to leave the practice of neurology altogether. As a clinical researcher for 20 years, I had plenty of contacts in the pharmaceutical world, and I could scurry up a job in industry. Ultimately, though, I decided I still loved clinical medicine, despite all the headaches and burnout. I asked myself what I truly hated about my job, and when the answers revealed themselves (increased clerical work, decreased patient time, increased regulation), I decided to embark on a third, less traveled route: I left my group to set up an NIBP. An NIBP is a direct pay entity, which is different from a traditional concierge practice. Although a small percentage of our patients elect to pay annually for our services, the majority pay at the time of their visit and are given a receipt with everything they need to file with their insurance carrier. Those with out-of-network benefits typically get 60% to 80% of the charge back (although with some high-deductible plans, this can be troublesome). I decided to focus on the details of opening up an NIBP rather than dwell on the big-picture reality of what I was (perhaps foolishly) embarking on. My first move, recognizing my limitations, was to get help. My research manager at our old practice was getting increasingly frustrated with his work and agreed to join me as a partner. With my MD and his MBA, I figured we would have at least a fighting chance. We formulated a business plan, a useful exercise of laying out where you are and establishing timelines, objectives, and strategies to get to where you want to be. We met with a business attorney and incorporated our new entity as a limited liability corporation (LLC). There are several options for incorporation of a new business, but you must pick one, otherwise you risk exposing yourself to personal liability should your practice be sued. Although an LLC seemed reasonable in 2014 when we started, new Trump-era tax laws may favor other entities, such as C- or S-corporations, so look into this carefully and check with your accountant. We also built a website and began the process of extricating my name online from the old practice and associating it with the new one. The next step was to find space. This involved an analysis of both buildings and regional demographics. An NIBP has the greatest chance of success opening in an area affluent enough to support it, so find a spot within your community that reflects this. We were pleasantly surprised to find we could negotiate the terms of our lease to get a much better deal than what was advertised, including free build-out and several months free rent. Then came time to drop out of the insurance world—a task not as easy as it may seem. You may be in more insurance plans than you realize, when you add in various subplans, government programs, worker’s compensation, and others. Round them all up, then send certified or return request letters alerting them that you are leaving, and the date of departure (give them 30 days). It is worth going to each carrier’s website to see if there is particular language they require for physicians to withdraw. After incorporating a new NIBP, finding a place, and properly opting out of private insurance and government programs, the next steps, which apply to any new business entity, include setting up bank accounts, business and other insurances, a buy/sell agreement if you have partners, credit card processing, QuickBooks (or similar accounting software), and a payroll service. You have to hire a front office staff person or two, although you will not need any billers or coders. Taking out a business line of credit is advisable, just in case things are slow initially. Shortly before we were set to open our doors, we employed traditional and social media to get the word out. We then held a catered open house at our new office, inviting area physicians, as well as the city’s mayor (who came), and local television and print journalists. We have now been at this for 5 years and have never looked back. Our practice has grown from a handful of loyal patients who followed me over to more than 5,000 patients in our EMR database (and yes, we use EMR, but ours is simple, low-cost, cloud-based, and, most importantly, all data entered are for patient care, not for third-party billing weaponization). Our NIBP philosophy is to be both holistic and cutting-edge. Toward that end, we have neurologists (there are 2 of us now, and we are looking for more), psychologists, and physical and occupational therapists, and massage, nutritional counseling, biofeedback, acupuncture, and more all under one roof, along with a busy clinical research department and a concussion center. How do physicians decide if this type of practice is right for them? There are a number of intangibles that can make or break an NIPB (Box). There are several keys to a successful NIBP. The first concerns the scope and breadth of your practice: it must be as broad as possible. 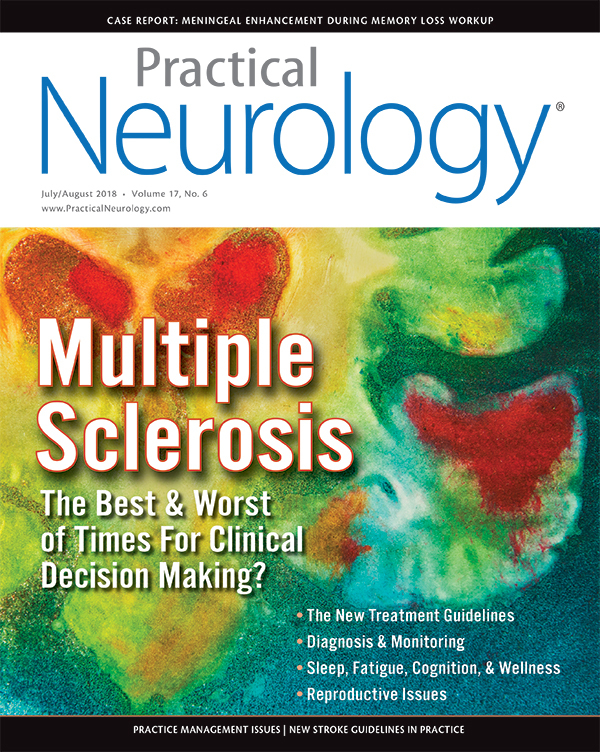 Author Richard Bach once said “Argue for your limitations, and sure enough they’re yours.”9 Physicians who desire to limit their practice (to only neuromuscular disease or epilepsy, for example, or only to adults) will have a harder time in an NIBP than those who are willing to see a wide swath of patient types. Consider establishing a specialty area (ours is headache) but also seeing general neurology patients, and if you are used to seeing only adults, try going down to age 15 or 12. A second key is to market the business. In an NIBP, patients flow to you based on your reputation, which in turn is dependent to some extent on how you market yourself. Understanding digital marketing and social media has been very helpful to growing our NIBP. I have learned to blog, post, like, and repost like a millennial (although now I have staff who do it for me). Third, explore multiple and alternative revenue sources. Our skill set is clinical research, but other options exist depending on your level of interest, including medical-legal work, becoming a paid speaker for the pharmaceutical industry, reading ambulatory EEGs, or developing a telemedicine program. The options are limited only by your imagination. I have come full circle in 22 years. Medicine changed, and I did not like the changes, so I opted out, and have never been happier. I have regained a sense of the calling of my profession. I love spending more time with fewer patients per day and feel liberated from the onerous regulation promulgated through inefficient EMRs and insurance demands. I have surrounded myself with excellent staff and clinicians whom I consider family, and my work–life balance has returned. I have no night call, weekends, or hospital rounds. I can breathe deeply now, and I laugh more. I am able to do 10% of my work pro bono (which in the insurance world would be considered fraud), and we set up a 501(C)3 charitable arm to provide for patient education and durable medical equipment, such as wheelchairs and oxygen tanks. I feel good when I get home from work, and I am reacquainted with my kids. An NIBP is not perfect, and it is not for everyone, but it has been a great vehicle for me to practice the kind of medicine I have always wanted. 1. Loria K. Why is there a problem with upcoding and overbilling? Medical Economics. http://www.medicaleconomics.com/health-law-and-policy/why-there-problem-upcoding-and-overbilling. Accessed January 29, 2018. 2. RAND. https://www.rand.org/news/press/2005/09/14.html. Accessed June 26, 2018. 3. Healthcare IT Skills. 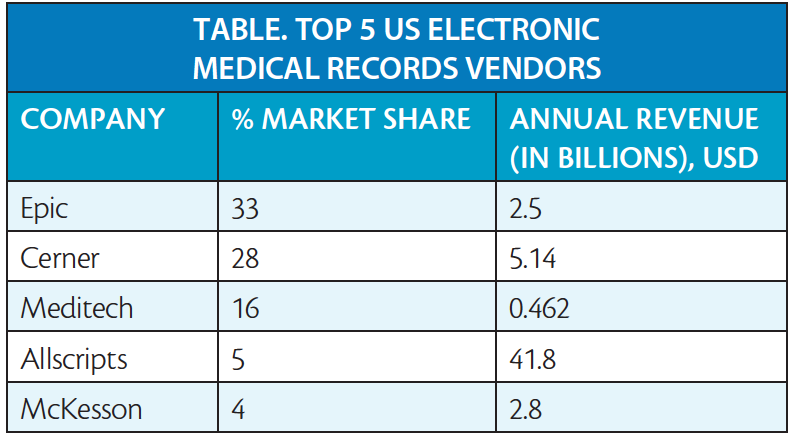 Top EHR vendors 2018—Epic, Cerner, Meditech, Allscripts. https://healthcareitskills.com/top-ehr-vendors-allscripts-athenahealth-cerner-epic-meditech. Accessed June 26, 2018. 4. Howe JL, Adams KT, Hettinger AZ, Ratwani RM. Electronic health record usability issues and potential contribution to patient harm. JAMA. 2018;319(12):1276-1278. 5. Grumet J. I have to admit it: I don’t love being a doctor any more. https://www.medpagetoday.com/blogs/kevinmd/62770. Accessed January 30, 2017. 6. American Academy of Neurology. Study suggests 60% of US neurologists experiencing burnout. https://www.aan.com/PressRoom/Home/PressRelease/1515. Accessed January 25, 2017. 7. Medscape. Medscape national physician burnout & depression report 2018. https://www.medscape.com/slideshow/2018-lifestyle-burnout-depression-6009235#2. Accessed June 26, 2018. 8. Huntoon LR. Opting out of Medicare. http://www.jpands.org/vol21no1/huntoon2.pdf. Accessed June 26, 2018. 9. Bach R. Argue for your limitations, and sure enough they’re yours. https://www.brainyquote.com/quotes/richard_Bach_103617. Accessed June 26, 2018.